At some point, they had to get it right: do a reboot like Marvel Studios did for the Amazing Spiderman and Hulk movie franchises. After the dismal and disappointing train wreck that was A Psych Tribute To The Doors, Cleopatra and Purple Pyramid Records rebound with Light My Fire - A Classic Rock Tribute to The Doors, easily a better homage to this iconic band. The project involves an abundance of classic rock artists, listed at the right, covering classic Doors tunes, under the direction of ubiquitous compilation producer Billy Sherwood. The Doors: well, I woke up this morning and got myself this album ... and a beer. In my review of the previous tragedy, after dismissing the bulk of the album, I remarked at the end, '... if I want The Doors, I'll play The Doors.' While I might agree with myself once more, at least these cover songs sound like the songs, even with the various artists offering their own interpretation and nuances. This led me to conclude two things. First, the very fact that the artists stuck to the core arrangement and melody of each song proves how influential and enduring these songs are. This characteristic, in turn, secondly, made me want to listen to each song with some anticipation. By example, I wanted to hear how Patrick Moraz and Rick Wakemen would handle the keyboards of L.A. Woman and Light Me Fire, respectively. They were very cool especially the latter where Wakeman seems to go mad with improvisation. I wanted to hear if Robert Gordon would sing Touch Me with the same passion that Morrison gave the original. I was impressed. And for my 'go to' favorite Doors song, Roadhouse Blues, would Leslie West get the blues groove and the coolness of that classic line, 'well, I woke up this morning and got myself a beer.' Yeah, he did, quite sweet. Then I wondered how guitarist Pat Travers might handle The End, one the most disturbing Doors songs. Well, he makes it heavier and gritty, like Stephen King funhouse heavy metal creepy. Some unexpected twists come with the cover of two relatively obscure Doors songs, namely Spanish Caravan and Alabama Song (Whiskey Bar). Eric Martin and Elliot Easton brighten the former; Todd Rundgren and Geoff Downes basically tread the same path as the original, which I never liked to begin with. While the Psych Tribute left me scrambling for my Doors LPs to wash the sonic profanity out of my ears, this tribute had me hooked, enjoying these artists reveling in their interpretations of the songs. 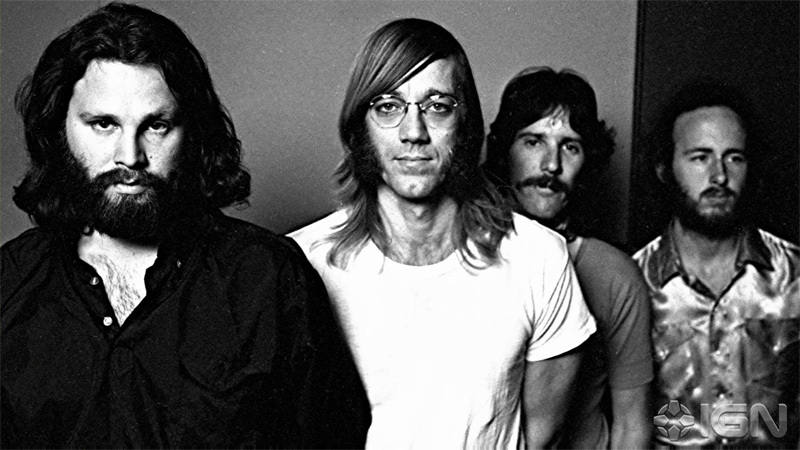 Yeah, like Law & Order, the original is always the best, and I will still go to those classic Doors albums. 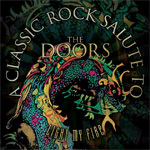 But Light My Fire - A Classic Rock Tribute to The Doors is a thoughtful, invigorating, and entertaining homage worthy of this seminal band. Light My Fire - A Classic Rock Tribute to The Doors is a thoughtful, invigorating, and entertaining homage worthy of this seminal band.